Holed up in his Birmingham, Alabama apartment, singer-songwriter Matthew Mayfield sits up sifting through lyrics scrawled on bar napkins and melodies at three in the morning, accompanied only by a guitar, his computer, and of course, whiskey. Despite being an unsigned artist, Mayfield has an exceptionally wide range of fans. He recently played in one of the largest music American festivals, SXSW in Austin Texas, where he scored the number six spot list of the top ten artists with the fastest growing buzz at the festival on music analytics website Next Big Sound. 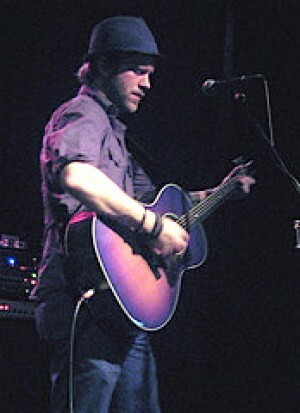 Since the break-up of his major-label band, Moses Mayfield, in December 2007, Mayfield has gone solo to self-release six EPs entitled The Fire, Five Chances Remain Hers, Maybe Next Christmas, Better, Breathe Out In Black, Man-Made Machines, and You’re Not Home. The musician discussed his inspirations, challenges and his own twist on charity-giving in a phone interview. Mayfield has recently teamed up with Pledge Music to give back to one of his favorite charities, International Justice Mission, while creating his next two EPs. The International Justice Mission is a human rights agency that “secures justice for victims of slavery, sexual exploitation and other forms of violent oppression. The agency consists of lawyers, investigators, and aftercare professionals that “work with local governments to ensure victim rescue, to prosecute perpetrators, and strengthen the community and civic factors that promote functioning public justice systems.” The agency works in 12 countries in Africa, Asia, and Latin American. exclusive items and experiences ranging from the completed EPs to a Skype session with Mayfield, or even Mayfield as the entertainment at your next house party. 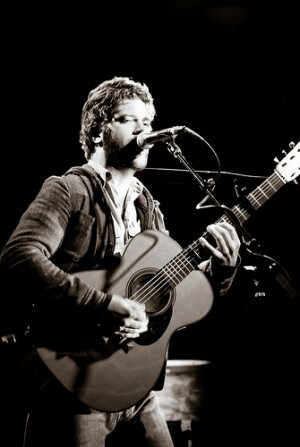 Mayfield also updates his blog on the site with early lyrics and demos of potential songs. Among the less-expected items available is the Message in a whiskey bottle, which is handwritten lyrics rolled up into the empty bottle of the choice beverage Mayfield was drinking during the songwriting process. Mayfield released his first EP through Pledge Music, entitled You’re Not Home, topped the iTunes singer/songwriter chart on it’s release date April 19th. Check out Pledge Music to donate now. Watch Mayfield’s corresponding video podcast here. Listen to all of Mayfield’s uncut responses here.